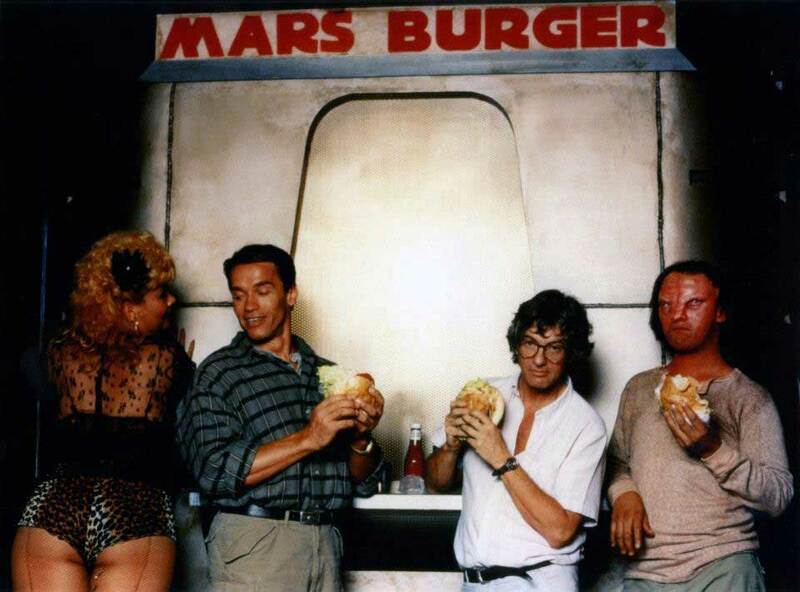 Arnold and Paul Verhoeven on set of “Total Recall”. Arnold Schwarzenegger and Paul Verhoeven on the set of Total Recall (1990). Pingback: Shirley MacLaine on set of Billy Wilder’s Irma La Douce (1963). Previous Previous post: YSL with Lauren Bacall and her daughter.